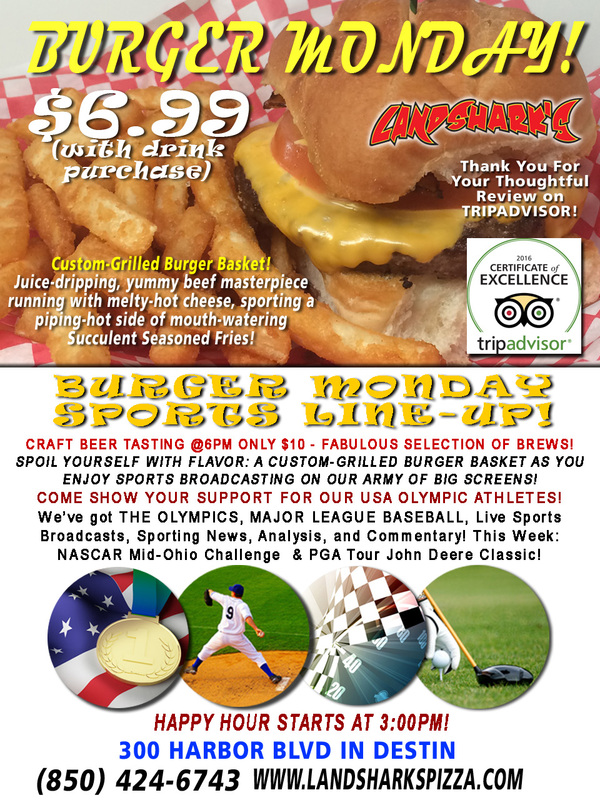 / Best Cheeseburger in Destin / Destin, FL Burger & Craft Beer Monday at Landshark’s – MLB, OLYMPICS & More Sports! 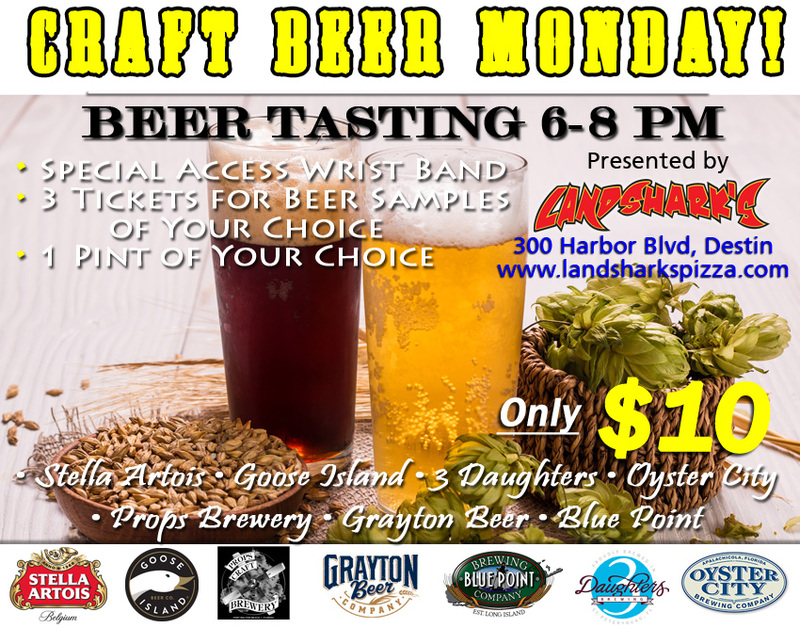 Destin, FL Burger & Craft Beer Monday at Landshark’s – MLB, OLYMPICS & More Sports! 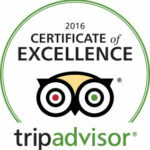 LANDSHARK’S PIZZA BRINGING THE GRILLED BURGER BASKET, CRAFT BEER & SPORTS! Custom-grilled, juicy dripping, yummy beef masterpiece with a grand side of succulently seasoned french fries – mmmmmm that’s a full meal deal for just $6.99 and all ya do is buy your drink! LET’S CHOW DOWN! 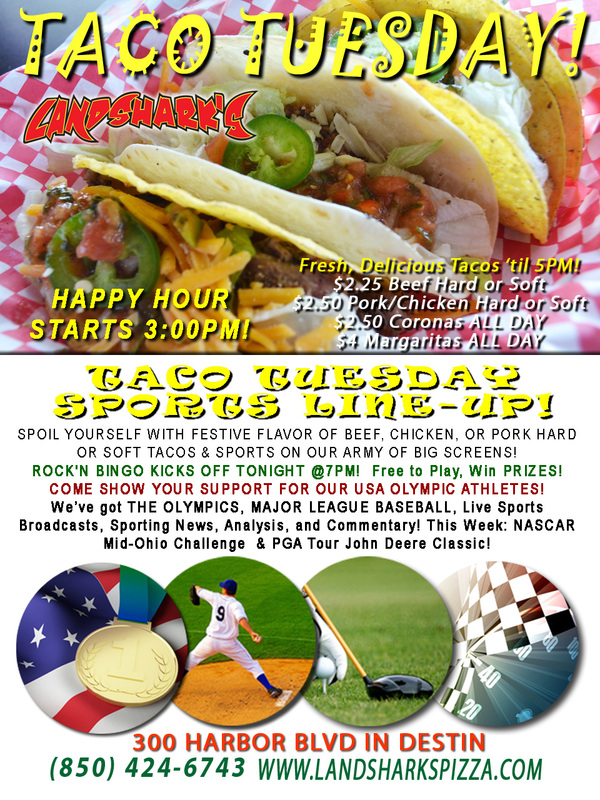 Landshark’s is showing The Olympics as it happens! We’ve also got MAJOR LEAGUE BASEBALL plus plenty of other Sports Broadcasts, Sporting News, Analysis, and Commentary! 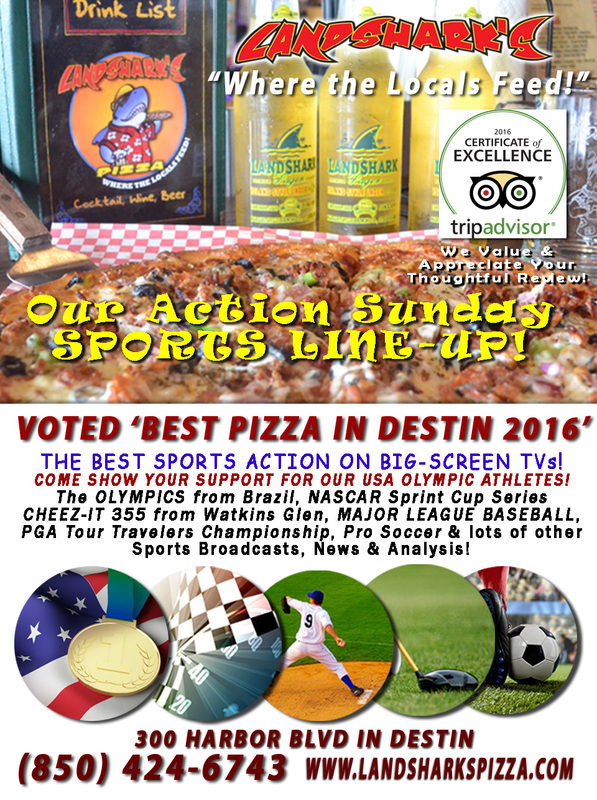 Previous Post: « SPORTS TV in Destin FL at Landshark’s – ‘Yuge’ ACTION SUNDAY Sports Line-Up!